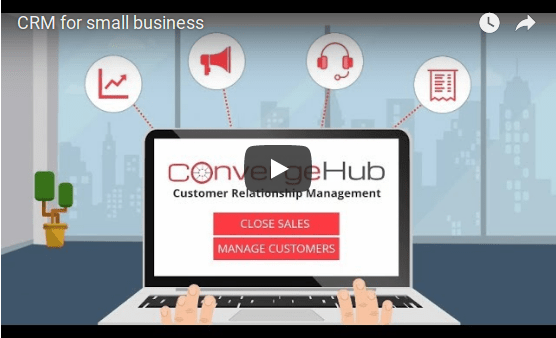 ConvergeHub is the all-in-one Customer Relationship Management software that lets you take charge of business growth and manage your Sales, Marketing, Service and Billing from one platform. Sell smarter and close deals faster with easy to customize sales process and powerful automation. Launch effective marketing campaigns, find more interested customers and increase your ROI dramatically. Empower agents to deliver delightful customer experience and build life-long relationships with 360-degree customer view. Track products and services, create and send custom invoices effortlessly, manage discounts, track payments and grow your business. All-in-One. Grows with you. Affordable. Manage sales, marketing, customer service and billing from one unified platform. Get 360-degree customer view and avoid duplicate data entry. Secure, flexible, and scalable platform with full enterprise-ready features that is designed to expand as your business grows. ConvergeHub is the price-performance leader providing incredible built-in value with a huge feature-list and great support at an affordable price. All features are built on the same platform and have uniform look and behavior. This eliminates duplicate data entry and ensures 360-degree data visibility. Simple and intuitive navigation that minimizes mouse-clicks and maximizes productivity. Easy to learn user interface that sales teams actually use. Get started in minutes with easy setup and built-in templates, dashboards and reports. No complex implementation cycle or consultation needed. Shift your team into high gear with advanced sales productivity tools. Reduce the time it takes to go from lead to close with sales process automation and advanced workflows. Scalable platform that is packed with advanced features designed to grow your business. Enterprise-level security features keeps your business secure. Flexible and customizable software that adapts to the way your business works. Create custom fields, layouts, automations and reports or integrate with external applications. ConvergeHub is designed to work seamlessly with leading third-party software and tools. Setup easily with a few clicks and get connected to your favorite tools in minutes... and we are constantly adding to the list.